Health Note: what to eat at this time of the year – the end of summer, the beginning of autumn? | Cooking Simple Chinese food at Home Cooking Simple Chinese food at Home | Health Note: what to eat at this time of the year – the end of summer, the beginning of autumn? Health Note: what to eat at this time of the year – the end of summer, the beginning of autumn? Having said in my previous post that this is a good season to eat — I think I should talk a bit more about it. As I am finishing with my summer recipes (sadly), we come to the so-called golden time of the year in China- not only because of the ‘gold’ leaves, autumn’s harvest, but also because of the many different kinds of seasonal foods available in the markets. So it is good to EAT, take in as many nutrients as possible. 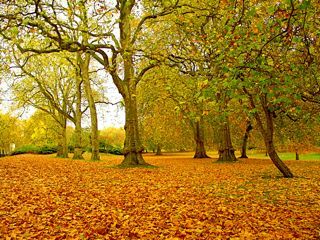 The change of season, however, can have effects on the digesting system, mood, energy, and so on. In Chinese medical theory, you do need to pay attention to what you eat, and what not to eat, and keep the body well balanced. Because of the heat in the summer, many of us tried to eat as light as possible, and at the same time, the body lost much ‘energy’ because of the heat, so we need to ‘make up’ what we lost. And at the same time, in autumn, the weather might cause “dryness” in the body, therefore might cause the Qi and Yin deficiency (Chinese medical terms, I don’t really know how to say it in English), so we need to eat to make it balanced. This does not mean that we can eat whatever we want – because of the weather’s impact, for example, fish and meat should be taken in moderation, especially at the beginning of the autumn, should not take much lamb. The most recommended food includes watermelon, pear, and ‘non-fine’ grains, for example, brown rice, corns, millets, etc. And it is better to take some food for ‘clearing’ the lung, for example, lily bulbs, honey, boiled pear with crystal sugar. If the warm days of late summer still continue for a bit longer, ‘juicy’ vegetables are good for calming down the heat, for example, cucumbers, winter melon, tomatoes, celery. And for the fruits, grapes, watermelon, pear, banana. However, when goes into the deep autumn, should take less melon types of fruit, as it is easy to cause stomachache.